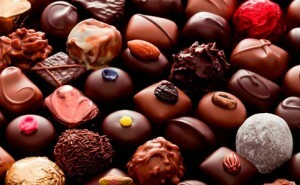 Chocolates are often associated with love and happiness. That’s because chocolate contains a chemical called phenethylamine, which is the same substance that the body releases when a person falls in love. Chocolates also contain dopamine, which is a natural painkiller, and serotonin that helps the body release chemicals associated with feelings of pleasure. Thanks to the digital age, mobile apps were developed to help people find various kinds of chocolates. There are even companies that give away chocolates to users who would participate in gimmicks. One time, Shopmium offered free Lindt chocolate samples to its newly-registered users. Conversely, mobile gaming hub Pocket Fruity gave chocolate prizes to users during its Valentine’s Day and Christmas promos. With literally hundreds of chocolate-related apps to download, people would never run miss out on cool promos, free samples, or new products created by their favorite chocolate brands! iChocolate is a recipe recipe app that not only offers chocolate desserts but savory chocolate main dishes as well. It also provides vital tips on how to cook chocolate perfectly, and a built-in ingredient conversion measurement chart. The World Chocolate Guide lets users find the best chocolates shops near them, and around the world. Users can also filter their search by shop features like if a shop sells cakes, pastries, or hot chocolate. It also features detailed description of each shop, photo galleries, and customer ratings. This app is developed by Philadelphia Candies, a company that has been manufacturing the finest milk and dark chocolates since 1919. In it, users can browse the company’s finest selections of boxed chocolates, specialty chocolates, and gifts for every occasion. Users can even order through their Android-powered smartphone, and checkout with PayPal. The Chocolate App ships to customers all over the world. Ashley is a self-confessed foodie. She loves trying out new restaurants and admits that she doesn’t go out of the house without a snack or two in her bag. She loves watching the food channel and feeding new dishes to her two little boys.